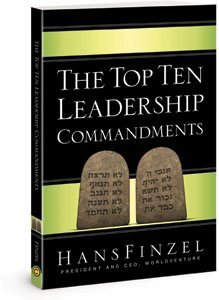 With over 200,000 copies sold of his acclaimed The Top Ten Mistakes Leaders Make, Dr. Hans Finzel presents the next chapter in his leadership series. Based on the life and legacy of Moses, Hans presents ten scriptural principles that can revolutionize your business, your ministry, even your life. The life of Moses provides a master study on what it means to be an effective leader. Consider his pedigree: Answered the call to do something beyond his means. Stood his ground before kings. Led millions of mutinous people on a journey across rivers and through deserts. All with a dogged persistence that would not give up. Readers will discover a dynamic, effective tool for developing leadership skills, all built on the solid foundation of God's word.